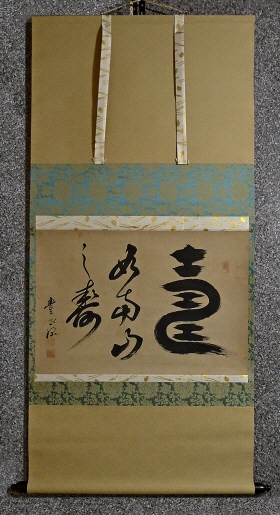 Title" Lucky Kanji Word "
Description We estimate the drawing was depicted over 100 years ago. 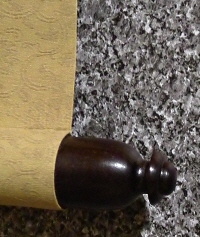 The scroll has been re-mounted so that the mounting part is clean. The drawing part is foxed overall as it was depicted years ago. There are some spots and stains, although, those are not so noticeable. The big Kanji character at right pronounces "Kotobuki" in Japanese and it means "congratulations" or "best wishes" or "longevity" or some others. 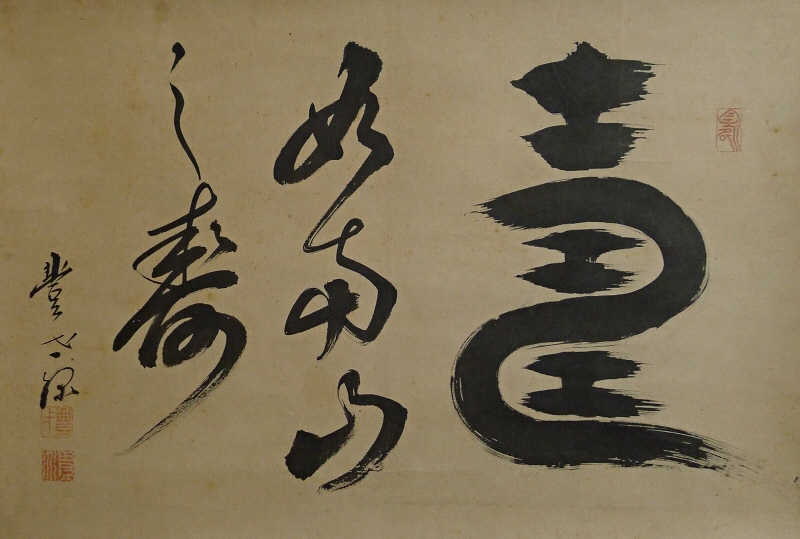 The phrase at left consisting of five characters literary means that "Like happy atmosphere in the southern mountain". The artist seems to be a Buddhist monk, however, we are not sure.